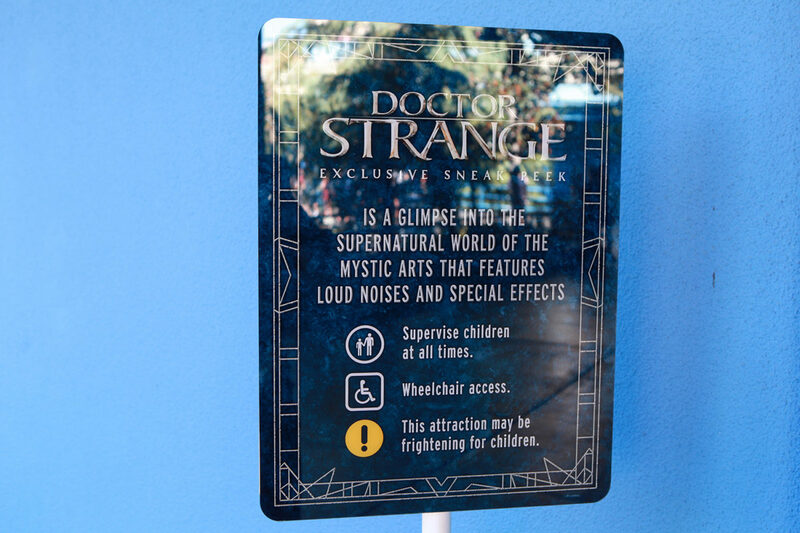 The Doctor is in and you can find him at Disney California Adventure’s Sunset Showcase Theater for an exclusive sneak peek! 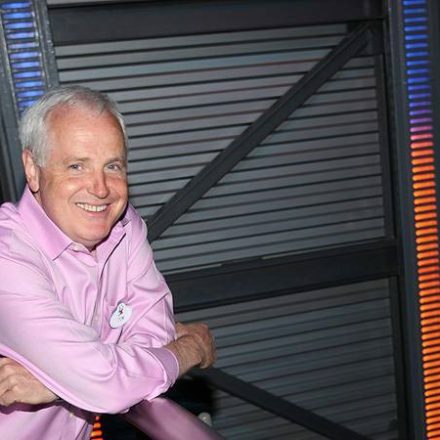 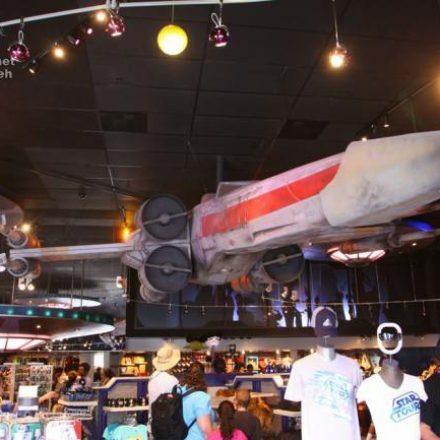 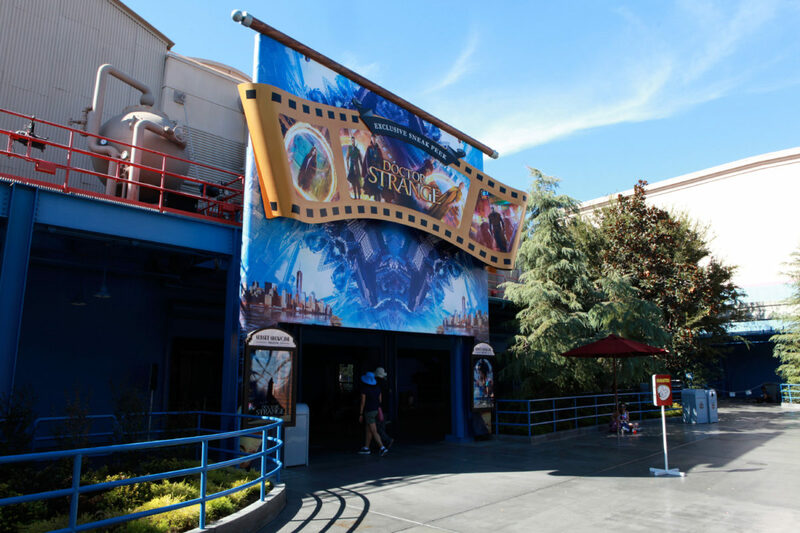 The Sunset Showcase Theater, which began its life as Muppet Vision 3D before taking on the form of a Frozen Sing Along, is now the ‘permanent” home for showcasing some of Disney’s latest studio releases, more recently used for the Alice in Wonderland sequel and Pete’s Dragon. 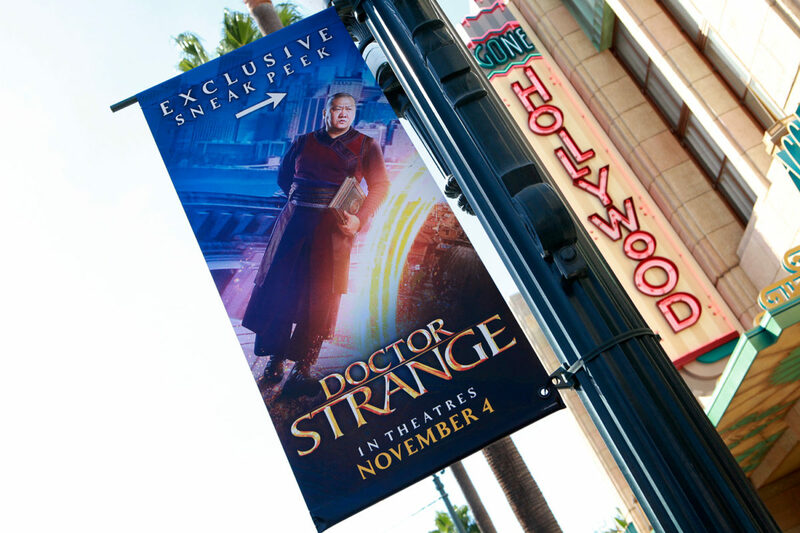 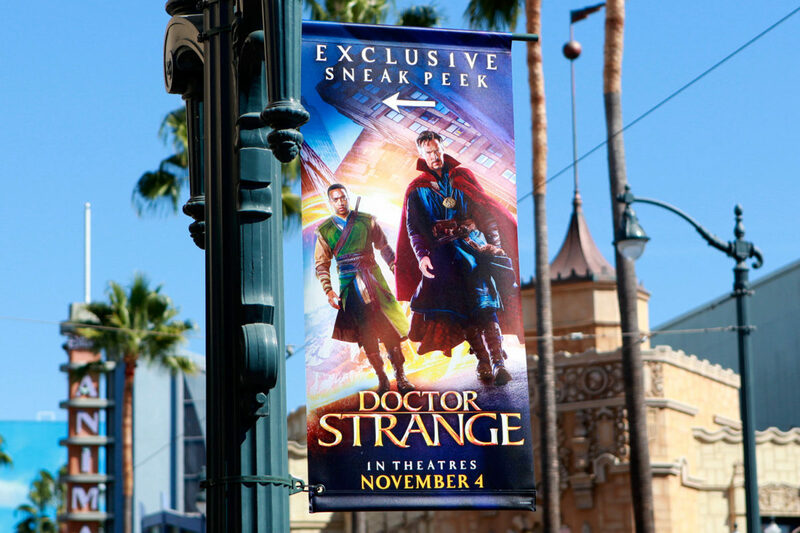 Newly added banners can be found along Hollywood Blvd, each highlighting a different character(s) and directing guests towards the theater. 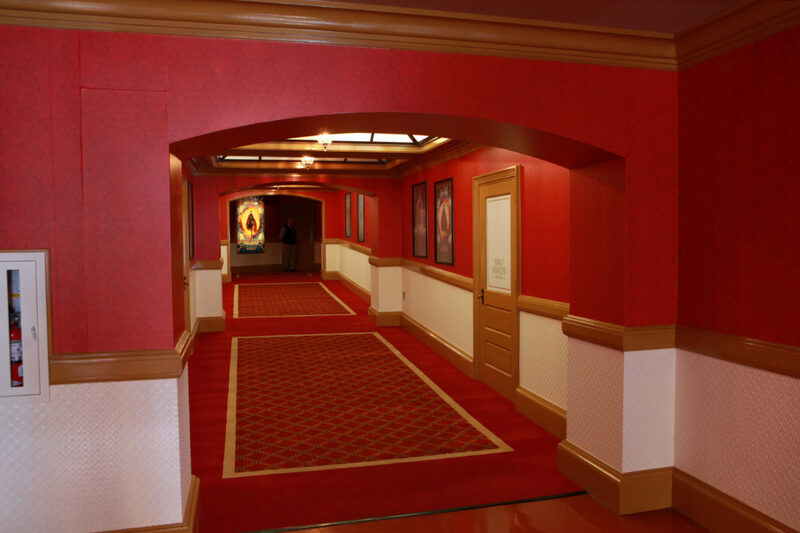 Once upon arriving, the theater has removed all traces of its Frozen home and is now dressed up as a Hollywood theater. 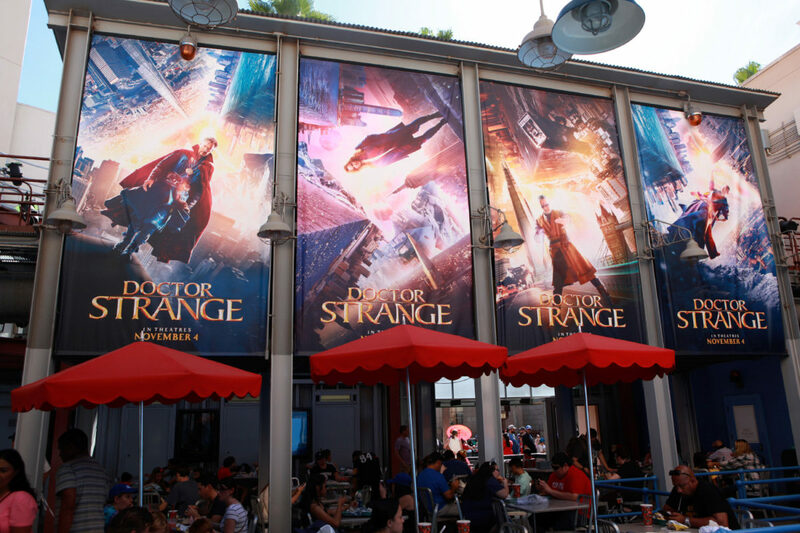 Larger posters decorate the space that used to be decorated by the Muppets. 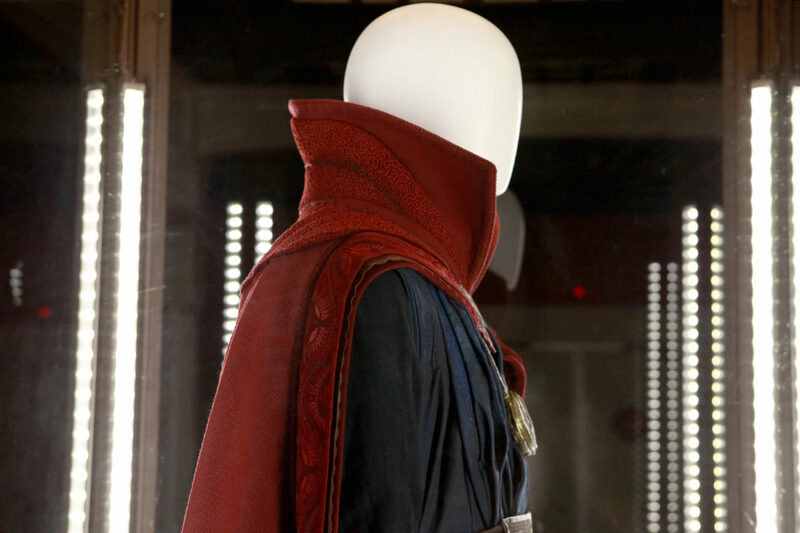 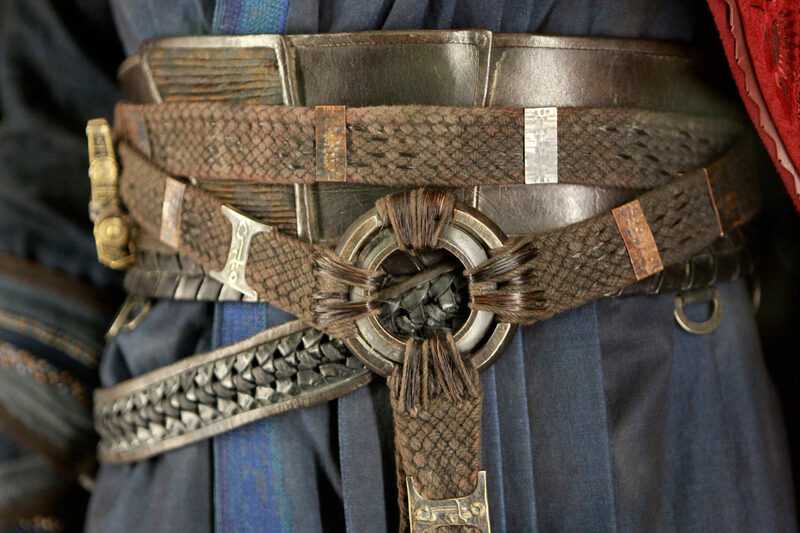 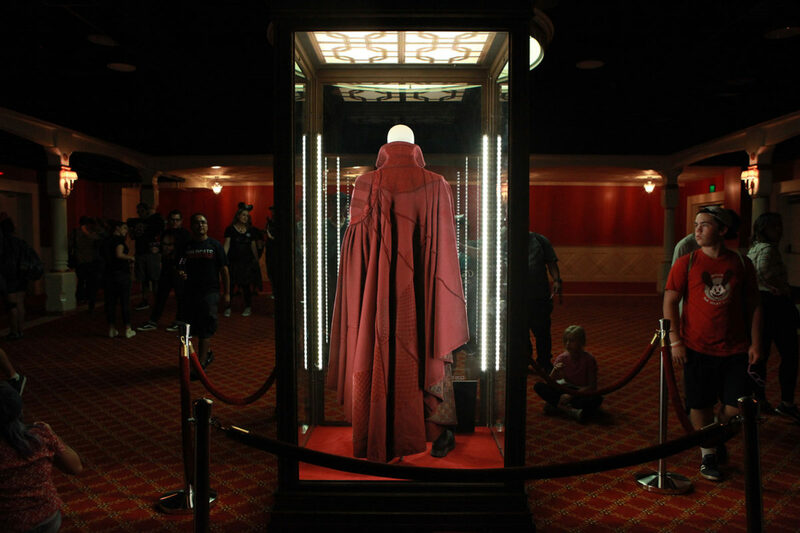 Once inside the main waiting lobby, you can get an up close view of the Doctor Strange costume worn by Benedict Cumberbatch. 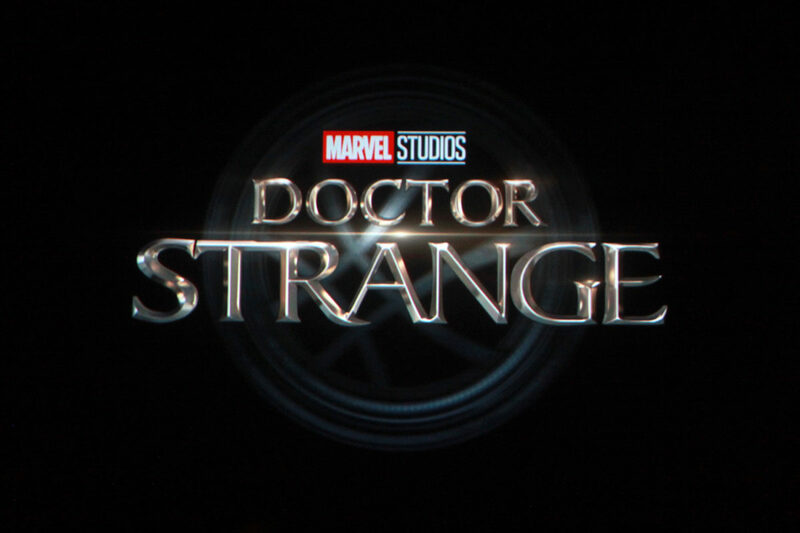 The exclusive sneak peek itself is introduced by Benedict Cumberbatch and rather than giving an extended scene and a trailer, what’s shown here is a collection of extended scenes that will blow your mind, or at the very least, leave you curious and possibly wanting more. 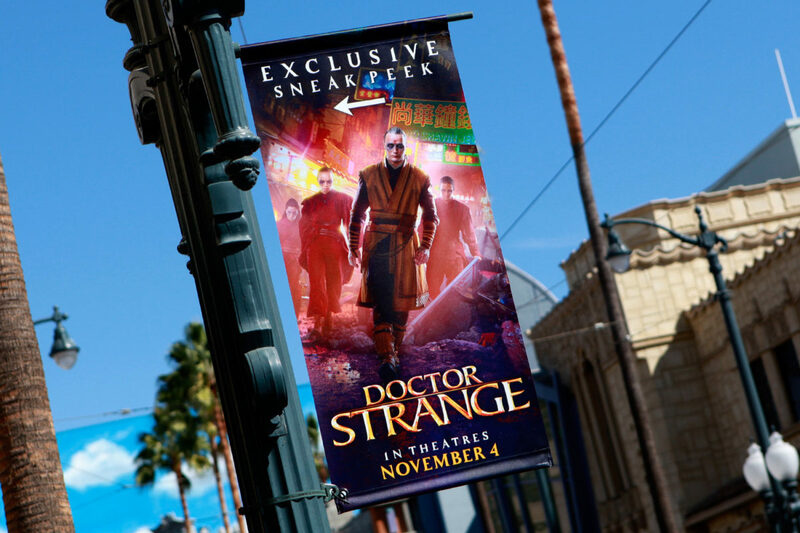 I had to sit through it twice just to soak it all in as this definitely does look like a harder sell than previous Marvel outings, but it at least promises something different. 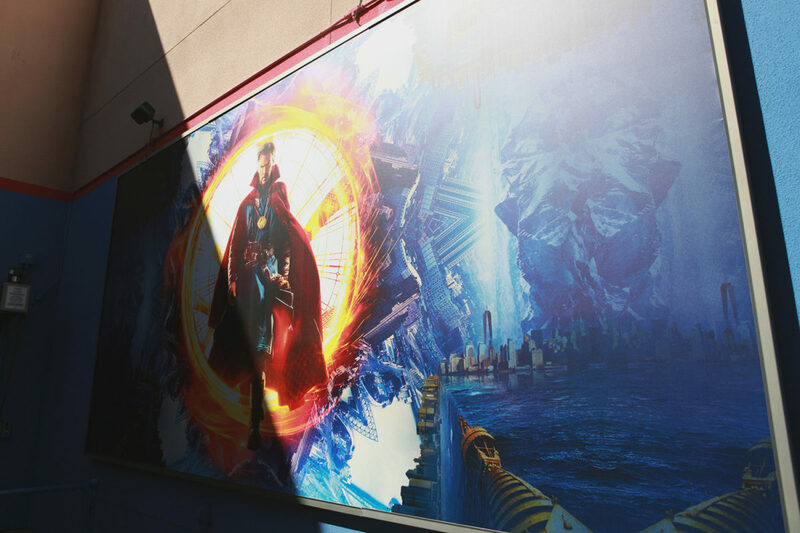 Screens on the side of the theater wall are also utilized to expand your peripheral vision into the other dimensions, which makes this sneak peek more impressive than any standard movie theater. 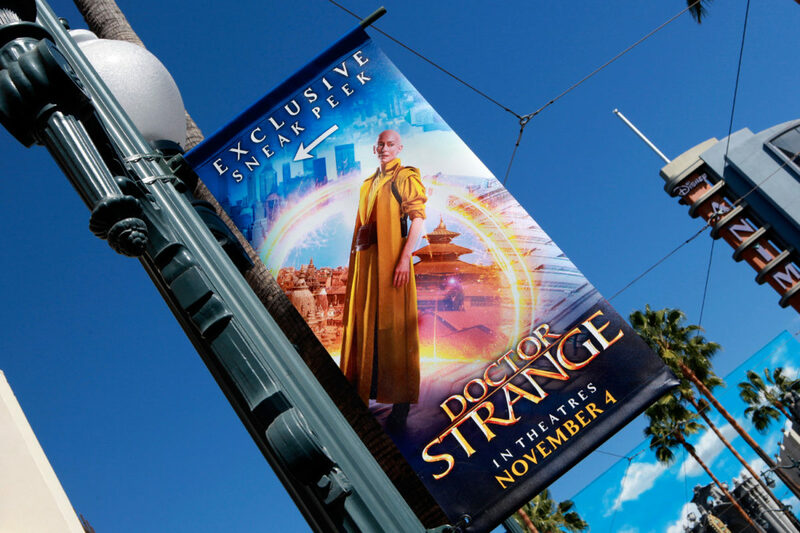 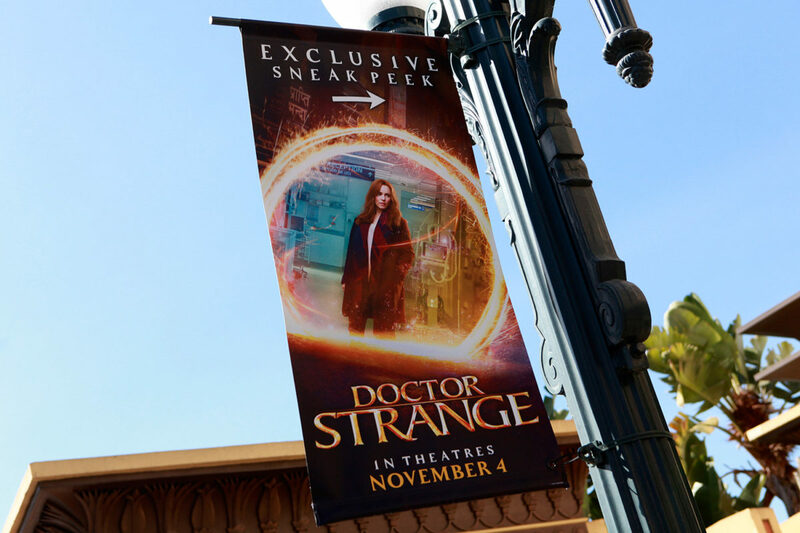 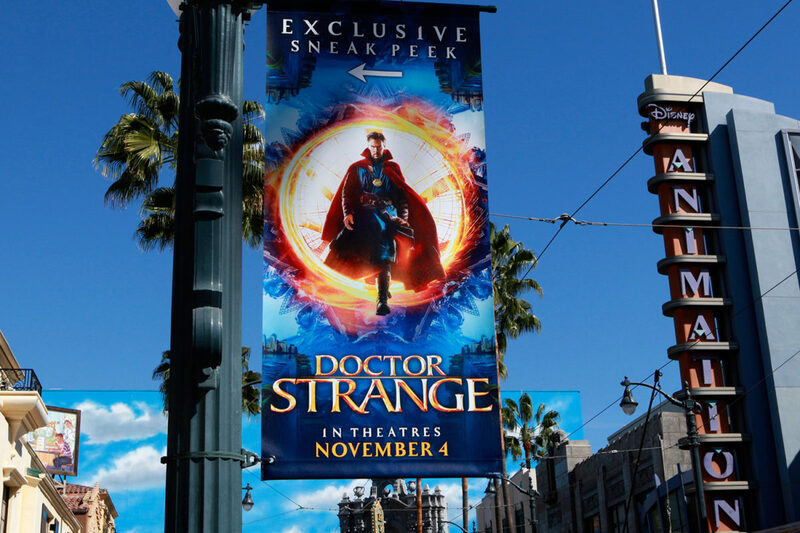 If you’re going to Disneyland and Disney California Adventure, definitely set aside a few minutes for the Doctor Strange Exclusive Sneak Peek. 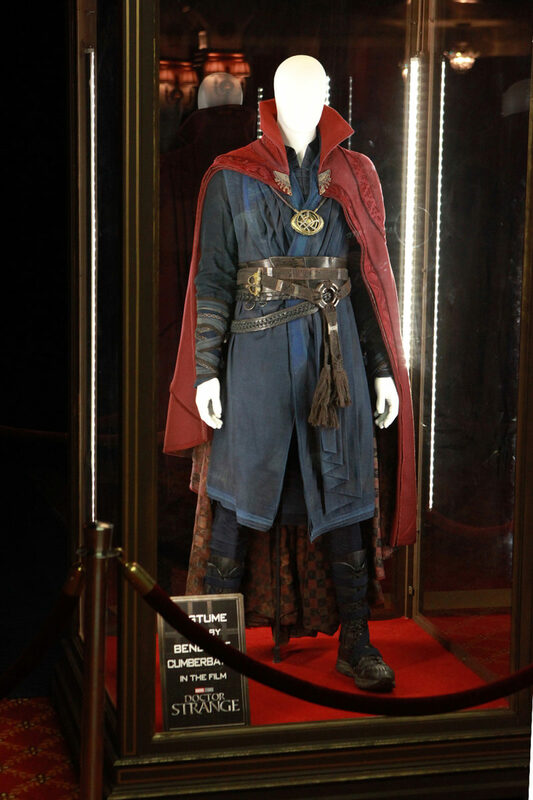 It will open your mind.